The tournament had more than 1,200 students competing for various scholastic state championship titles. Speyer bought 21 students to participate in more than five sections. Our K-6 team and our K-3 team earned first place, while our K-1 team in their “big stage debut” proudly clinched seventh place! 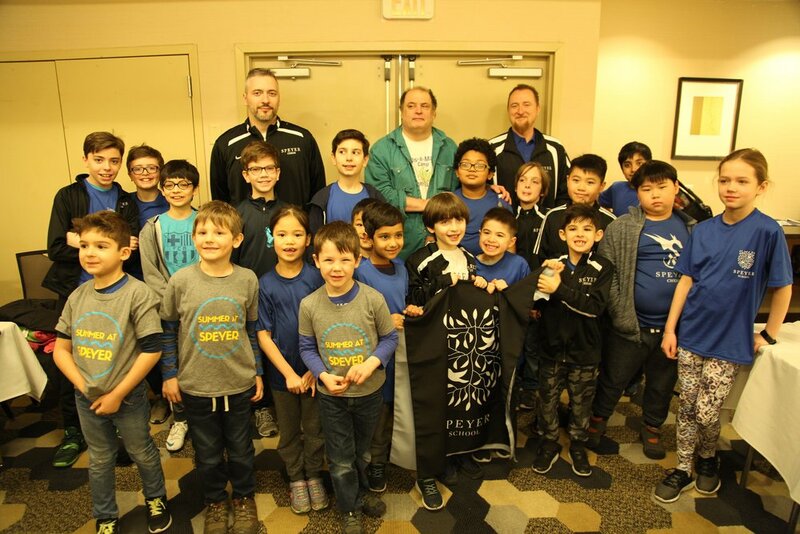 Congrats to all of Speyer players for their camaraderie, team work, and sportsmanship…and a HUGE thank you to our fantastic coaches (Mr. O'Hanlon, Coach John, and Coach Milos) and the ever-supportive chess parents for their time and support throughout the weekend! Check out all of the details below. Next up: Nationals! K-6 Elementary – New York State Champions! K-3 Primary - New York State Champions! K-1 Championship - 7th Place Team! Who would YOU pick? Kindergarteners Celebrate Their Agents of Change! Explosion of Creativity: Lower School Students Display Their Masterpieces In Celebration of Black History Month!